Phitek is set to debut its contactless payment and new economy class technology at the Aircraft Interiors Expo in Hamburg, Germany between 14-16 April. For the first time in AIX, a working fully functioning contactless purchase-to-payment solution for airlines will be demonstrated at the show. Recognising the strong airline push for ancillary revenue, Phitek has designed an integrated system that will enable passengers to purchase what they want, when they want, from their seat without crew assistance. Phitek’s system offers an end-to-end partnership for airlines so when a passenger decides they want that sandwich or gift for their family after all, they will be able to select and pay with a simple tap of their contactless payment card or NFC phone. For the airline, Phitek will collect all these payments and ensure the revenue is delivered seamlessly to the airline’s merchant acquiring bank. With secure options for high-value purchases the options for ancillary revenue increase further. At Phitek’s stand, show visitors will be able to select and buy quality New Zealand products at a nominal price with their contactless American Express, MasterCard, or Visa credit card or NFC payment-enabled phone. A finalist for the Crystal Cabin award 2015, Phitek’s concept for a Longlife Economy headphone is set to challenge the status quo for these highly stressed items. At any one time, nearly 700,000 economy headsets will be in use in the skies. They face a tough innings – they’ll be mauled by inquisitive children, slept on by tired adults, and stuffed into the back of already full seat pockets. On average they’ll last just 10 sectors before they are disposed of. 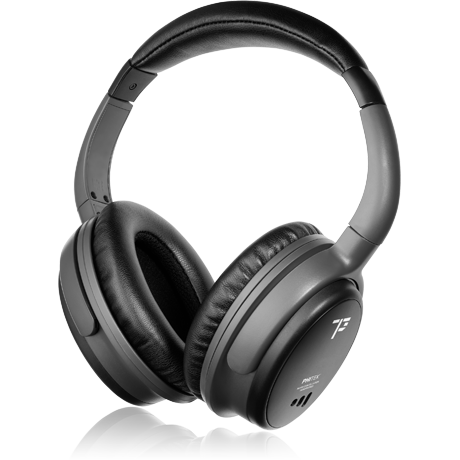 Phitek’s Longlife Economy headphones have been designed to last 10 times longer setting a new benchmark for the airline industry – and providing savings to airlines on operational lifetime costs and maintenance crew staff time. The clever design eliminates the articulating and telescopic components of typical economy headsets by passing audio through an innovative headband rail system to the ear cups. The headsets can be easily de-constructed and repaired by airline maintenance staff without specialised skills or tools and they have a clever twist – the ear cups turn flat to facilitate flat and efficient storage. On top of all these features, the innovative design looks great and will make a striking fresh addition to an airline economy cabin. Visitors to Phitek’s stand will see just why Phitek’s Longlife Economy headphones have impressed this year’s Crystal Cabin judges. Phitek is delivering its patented magnetic audio technology to economy-class cabins. On show in Hamburg, Phitek’s new Obround magnetic jack has been designed to replace existing two-pin economy connectors as either a retrofit or line-fit solution. The Obround’s patented built-in switching technology works out what type of headphone is plugged in and adapts how audio is delivered in response. This smart detection means that passengers who bring their own headphones can still plug in, and that airlines can purchase from a wide range of headphone suppliers without needing to adapt their connection plugs. 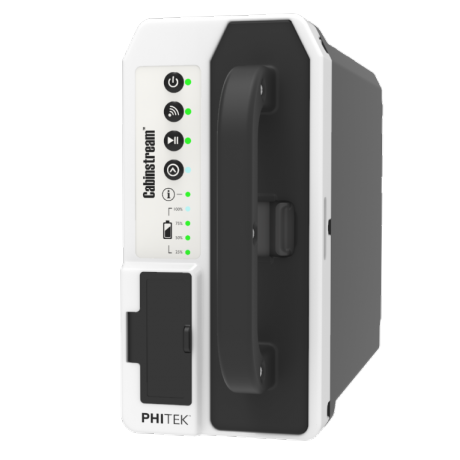 For the more technically-minded at the show, Phitek has packed a lot of technology into a small connector. A traditional connector has only a screw and two audio sockets coming through the standard obround-shaped hole in the seat arm. In comparison, Phitek’s Obround magnetic jack has been cleverly engineered to have four audio contacts, two audio sockets, three magnets and two screws fitting through the same seat cut-out. 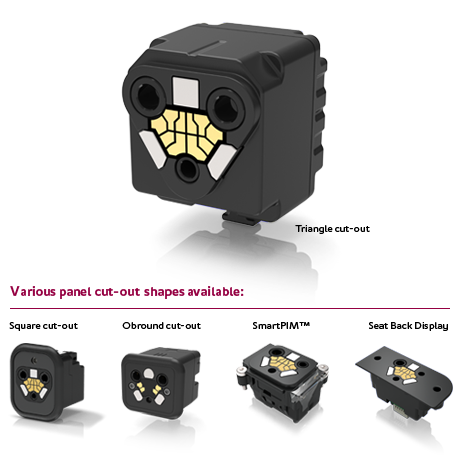 It also has set a high industry standard through its ultra-long operational lifetime and integrated automatic signal switching. To fit all these features in, the Phitek team developed rare-earth magnets which are engineered to bend the magnetic field around the cut-out where the Obround is installed, providing a deceptively strong retention force to a connecting plug. 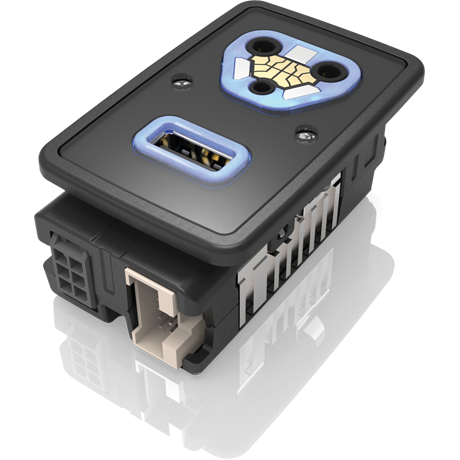 The Obround and other smart in-seat connectivity options will be on show at Phitek’s stand. Contact Phitek can be found in the IFE-Zone, Hall B3, Stand 3C18.